Kersh Law Firm, P.C., understands that a divorce comes with a great deal of stress and anxiety. It is important that our clients understand the divorce process and are as prepared as possible to handle the rigors of divorce. Before beginning your divorce proceedings it is imperative to select an a divorce attorney that is familiar with the family court system within your county. Kersh Law Firm is an established family law firm that regularly represents clients in Pearland and surrounding areas in Brazoria and Harris Counties. Kersh Law Firm, P.C. is a Brazoria County family law firm based in Pearland with extensive experience in a wide range of divorce and custody issues. We aggressively pursue the best possible result in each case. The exceptional representation of our clients is the cornerstone of our stellar reputation as one of the best family law firms in Brazoria and Harris County. 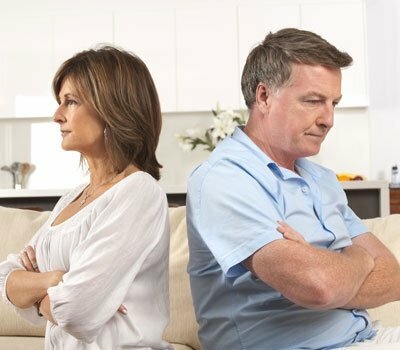 When you seek our services, you can rely on our understanding and compassion when it comes to protecting your rights, but be assured when it comes to your interests our approach to guide you and your family through your particular divorce or custody situation so that you can move on with the rest of your life. Shane Kersh takes pride in representing clients from all walks of life – from high asset high profile clients that require a delicate touch to collaborative divorce matters that are ending amicably; we treat each case as the most important in the office. Our goals will be exactly the same as yours in your divorce or family law issues – we want you to succeed in all of your legal issues related to your divorce and family law matters. How Do I Start a Divorce in Texas? To get a divorce started in the State of Texas, your attorney will file a Citation and Petition for Divorce with the court in the county where the lawsuit has jurisdiction. The Petition for Divorce will state the grounds for divorce and the relief requested. There are many grounds for divorce including insupportability, cruelty, adultery, conviction of felony, abandonment, living apart and confinement in mental hospital. The Citation and Petition will be served to the other party in the marriage and/or to his or her counsel. The court will then assign a cause number and District Court to oversee the proceedings. The party filing the suit for dissolution of a marriage is called the petitioner; the party being served the suit is called the respondent. According to the Texas Family Code, the respondent is not required to answer on oath or affirmation. How much can I expect to spend on my divorce? The price of a divorce depends greatly on the complexity of the case. Is the divorce contested or uncontested? Are children involved? How much property is to be divided in the divorce? All of these factors will increase the cost of a divorce. In some cases a divorce can be as little as $1,500 for an uncontested divorce; however, most divorce cases are more costly. Do divorce lawyers charge different rates? Yes, divorce lawyers set their rates based on knowledge, experience and qualifications. However, the major issue increasing the attorney’s rate is the complexity of the case. The first thing a person must do in a divorce is file a petition for divorce in the District Clerk’s Office and pay all the applicable fees. This step is usually done by the divorce lawyer paid to represent you. Do things become more complex if there are children of the marriage involved in a divorce? If there are children born, adopted or expected during the marriage, the suit for a divorce must also address matters of custody, visitation and child support. If a wife has given birth to a child or is expecting a child since the time she married, but the child is not, or may not be the biological child of her husband, that information must be given to the court as soon as possible. If the wife is pregnant or becomes pregnant while the divorce action is pending, the parties must wait until the baby is born before the court can grant a divorce. This is true regardless of whether the husband is the baby’s father. Is it necessary for fault to be found against a party for a divorce to be granted? No. Divorce may be granted without either party being at fault. However, a divorce may also be granted when one party is found to be at fault in the break-up of the marriage.